Priyanka Chopra returned to Mumbai from her Goa vacation on Wednesday afternoon, after which, she was spotted at Akash Ambani and Shloka Mehta's mehendi ceremony, hosted by the Ambanis in the evening. 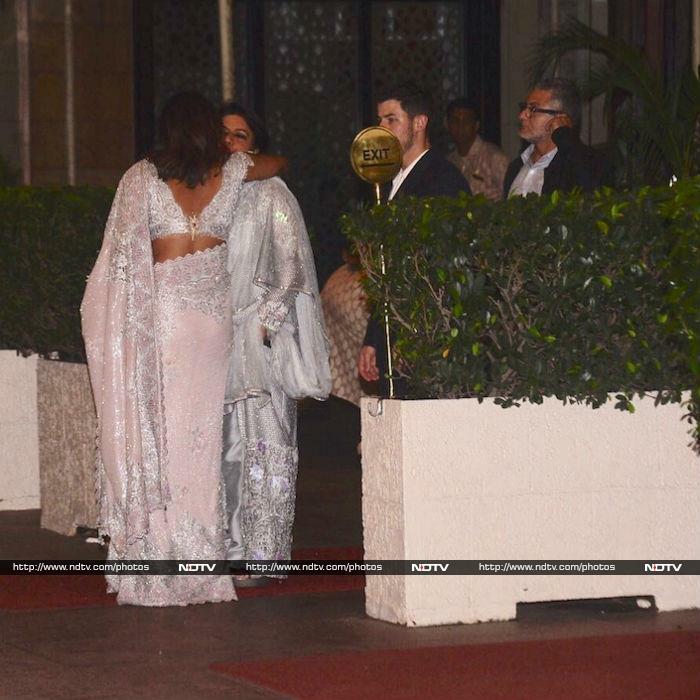 Later, the shutterbugs also spotted Priyanka and Nick Jonas in Mumbai together last evening and speculation are rife that the American singer was the actress' plus-one at the mehendi party. However, some reports also suggest that the duo went out on a dinner date in Mumbai after the party. For the evening, Priyanka picked an embellished saree from the studios of Tarun Tahilani. Black curtains in the backseat of her car ensured the privacy is maintained. Priyanka Chopra and Nick Jonas have been on the trends list for quite some time now - the rumoured couple flew into Mumbai in the wee hours of Friday last week.